Updates and upgrades have made the Hoka ONE ONE Clifton 5 Wide Running Shoe lighter, faster, and stronger while still maintaining the signature Hoka ONE ONE cushion and support. So enjoy the enhanced breathability of the Engineered Mesh Upper, it's designed to give you more support from less material. And take advantage of the high-abrasion rubber on the outsole, which is strategically placed to reduce weight while enhancing durability. 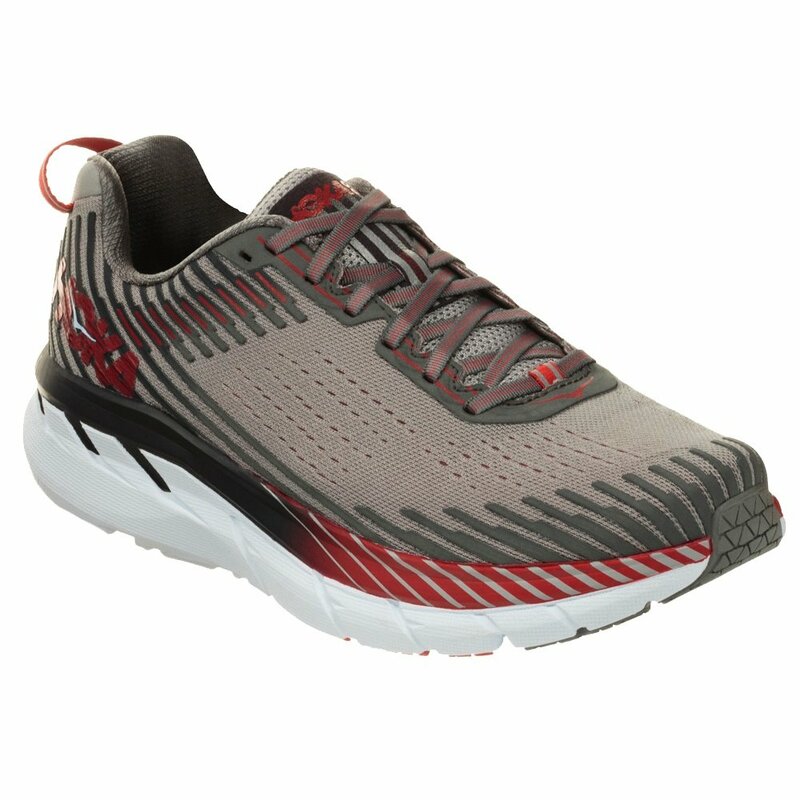 And then enjoy the bottomless cushion you love, paired with the Early Stage Meta Rocker that smooths your stride for a more comfortable ride all in this wide model running shoe.